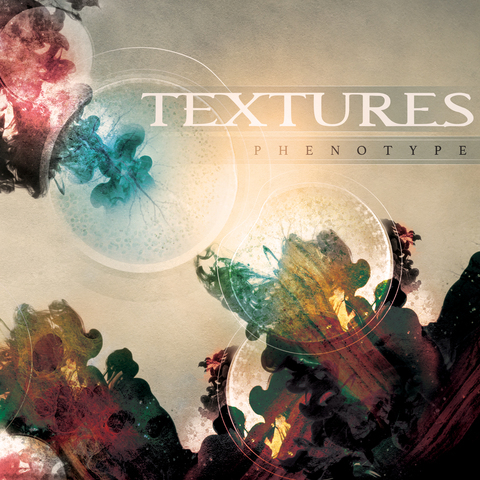 Dutch progressive metallers TEXTURES are about to release a musical diptych: ‘PHENOTYPE’ – ‘GENOTYPE’. Two new albums set up around one concept. The Dutch sextet is not a band to put out an album every year in a row. The band took almost 2,5 years to write and record albums no. 5 and 6. ‘PHENOTYPE’, the first album to be released on February 5th 2016 via Nuclear Blast, is a 60-minute long song-based album. TEXTURES present an eclectic overview of what modern metal has to offer. Catchy, innovative and progressive songs are what TEXTURES stand for. ‘GENOTYPE’, which will be released a year later, is a 45-minute long conceptual track. The root material of which ‘PHENOTYPE’ consists of is presented in this song, but in a totally different context: TEXTURES go out-of-the-box. More proggy, more atmosphere and lots of extra layers to fill the last gaps left in this extensive double rollercoaster ride. 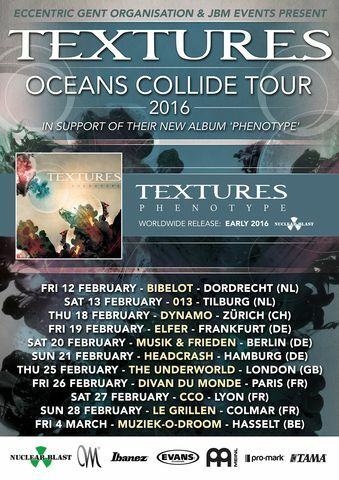 In support of ‘PHENOTYPE’, TEXTURES will hit the European stages in February 2016. I can’t wait for this new album to be released, I am so impressed with the Dualism album, …it is just stuck solid in my car cd player, love it! I’ll be visiting from Canada next year April 2016, hopefully there will be a concert or something where I can catch up and enjoy your music live. where is the release show ? Will it be the Mezz again ?